Crowns are used to cover a damaged tooth and improve its shape and appearance. Bridges typically replace one or more teethand fill in gaps in your smile and fix bad bites. Dentures and partials custom-made prosthetics that help when someone has suffered severe tooth loss. Fillings treat cavities and restore the strength of your decayed, cracked or damaged teeth. Invisalign aligners can give you the straight smile you’ve been dreaming of without all the metal and brackets and in a shorter amount of time than braces. Teeth whitening can help to fix your discolored teeth and make your smile shine. Cosmetic bonding sculpts your chipped or cracked tooth to make it whole again. With so many options, it’s best to consult your dentist about which may be best for you. Both restorative and cosmetic dentistry have many benefits to offer you. Cosmetic services offers more aesthetic advantages while restorative care can provide you a sound and healthy smile for years to come. 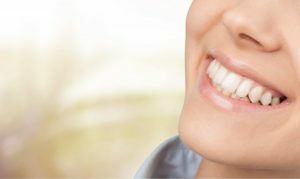 Sometimes, you may need both to achieve the smile of your dreams without worrying about potential oral health problems. If you’re looking to repair cracked, missing or chipped teeth, or have your smile straightened to help with your self-confidence, your restorative or cosmetic dentist can help. Schedule your appointment to get estimates on your perfect smile. Our dentists are dedicated to giving you not only an aesthetically pleasing smile, but a healthy one. With decades of expertise to offer you, Flenniken Family Dentistry focuses on providing you with the most up-to-date dental care and technology. Offering everything from Invisalign aligners to dental implants, you won’t need to visit anywhere else. To schedule an appointment or for any questions, visit our website or contact us at (717) 249-7777.